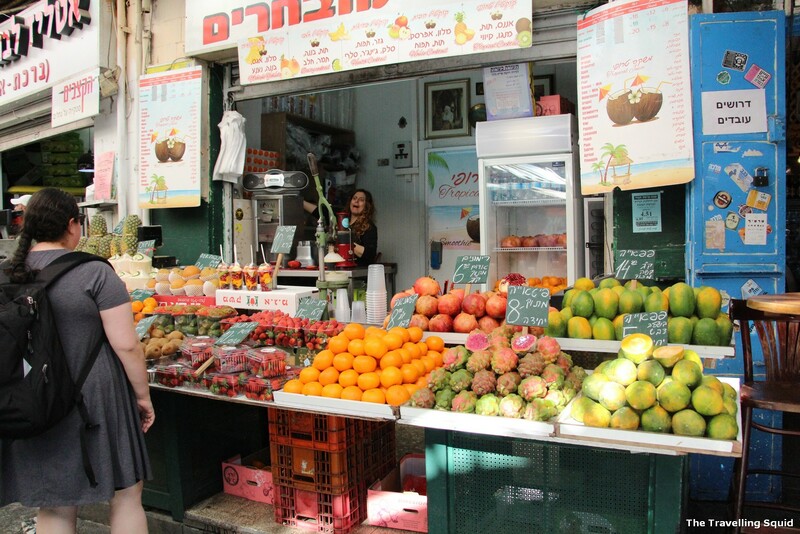 Fruit juice stall at the Mahane Yehuda market in Jerusalem – fruit juice is cheaper at the stalls inside the market, compared to the ones near the entrance. 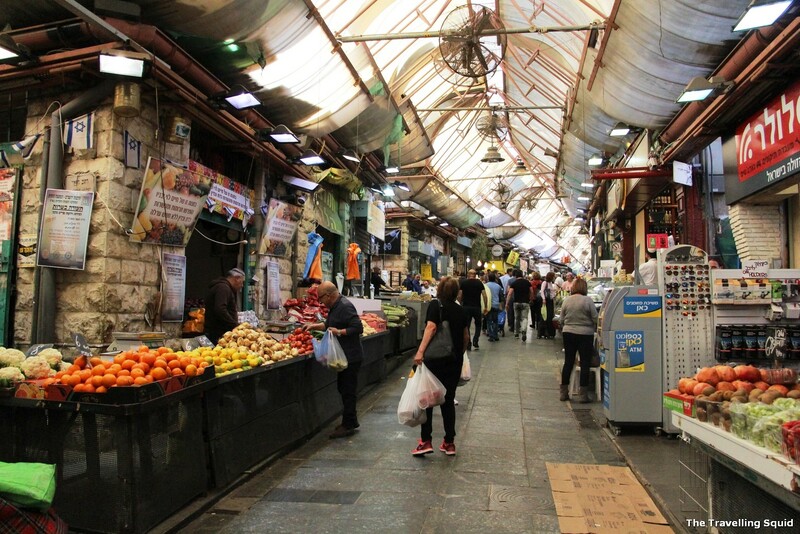 The Mahane Yehuda market in Jerusalem is a must-go, for any visitor to the ancient city. 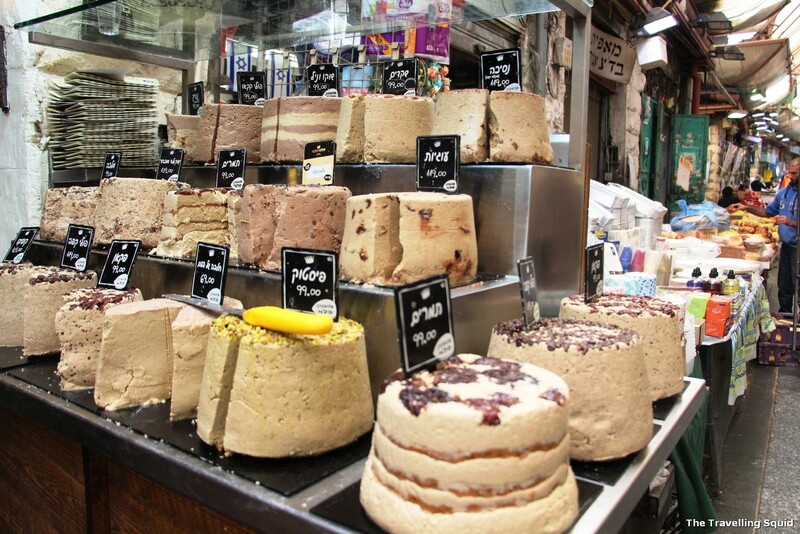 Unlike some of the more touristy markets in Europe, such as the Mercado de San Miguel in Madrid which attracts a majority of tourists, the Mahane Yehuda market attracts an equal number of locals and tourists. 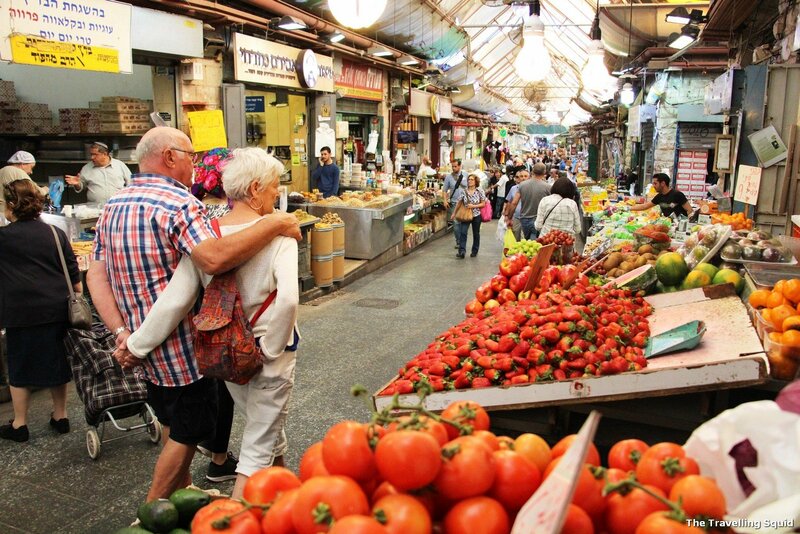 As you walk down the lanes, you’ll find that the produce on sale is really fresh. 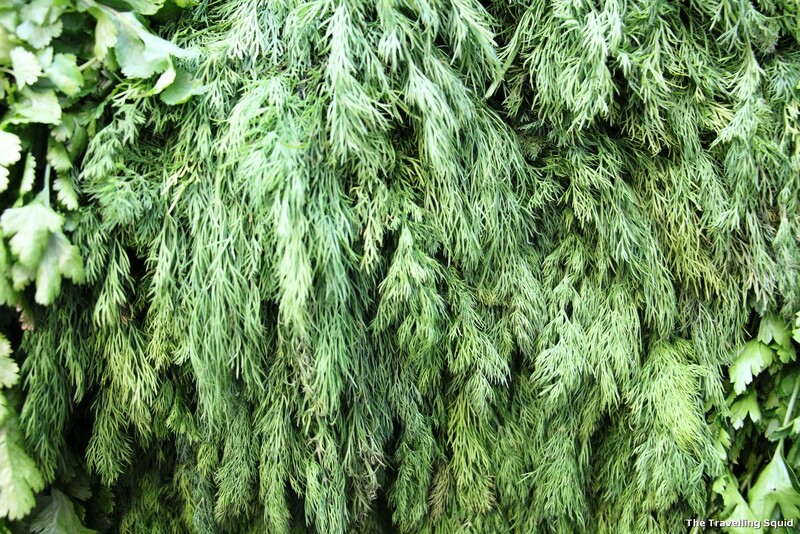 Never in my life had I seen such a carpet of fresh dill right in front of me. Or fresh vine tomatoes, which looked like they just came right from a farm. 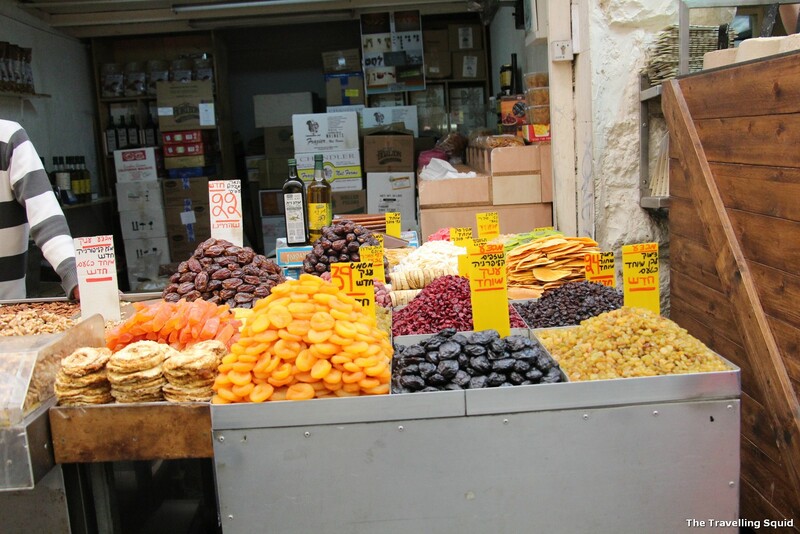 The market is also great for souvenirs, if you’re looking to buy back some Israeli sweets, baklava, or even dried apricots and plums. 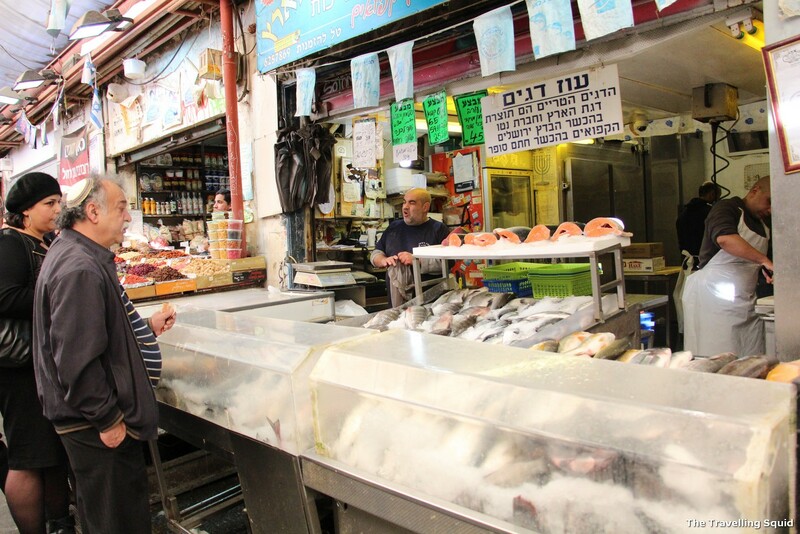 According to Wikipedia, the market is busier on Thursdays and Friday mornings, as locals prepare for Sabbath. 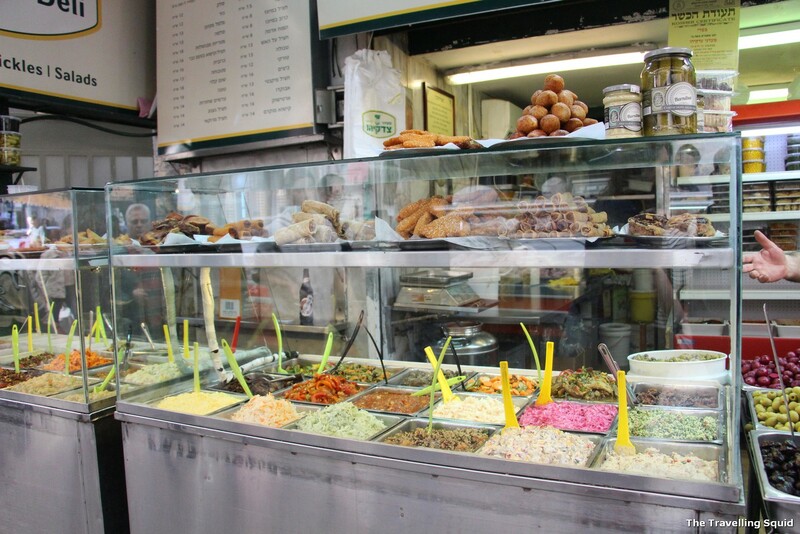 It was only in the mid-2000s did trendy stalls such as bars and restaurants started moving into the market. 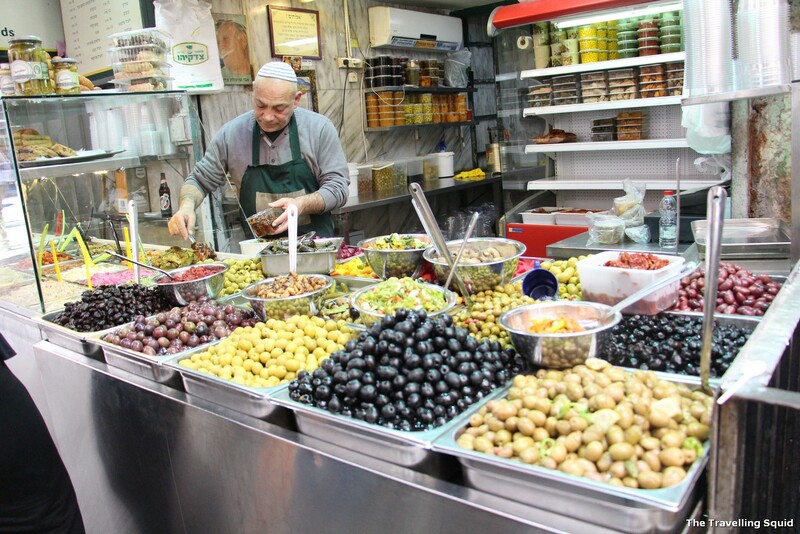 Figs and apricots, staples of a Middle Eastern diet. 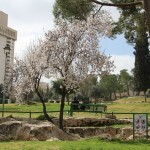 Olives of various types and colours. The tomatoes were so beautiful. 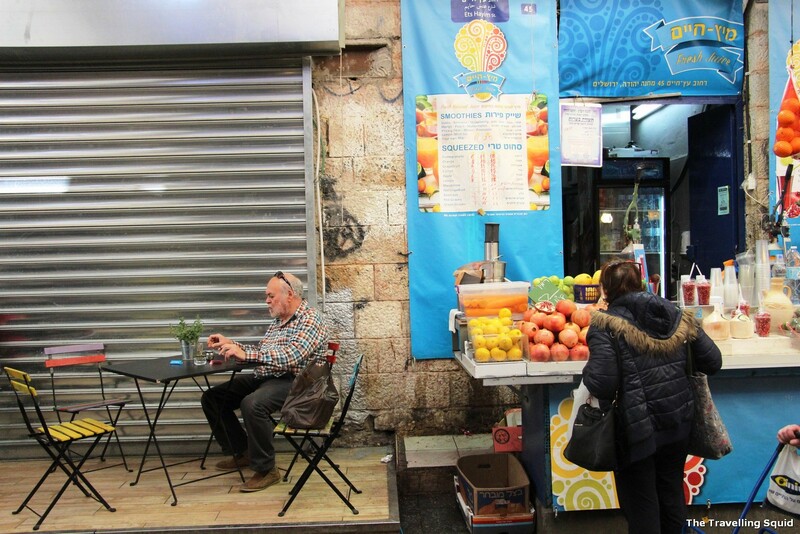 Cute couple walking along the Mahane Yehuda market Jerusalem. Awww..
Baklava! 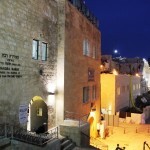 Thought it was a Turkish thing, but it’s here in Israel too. 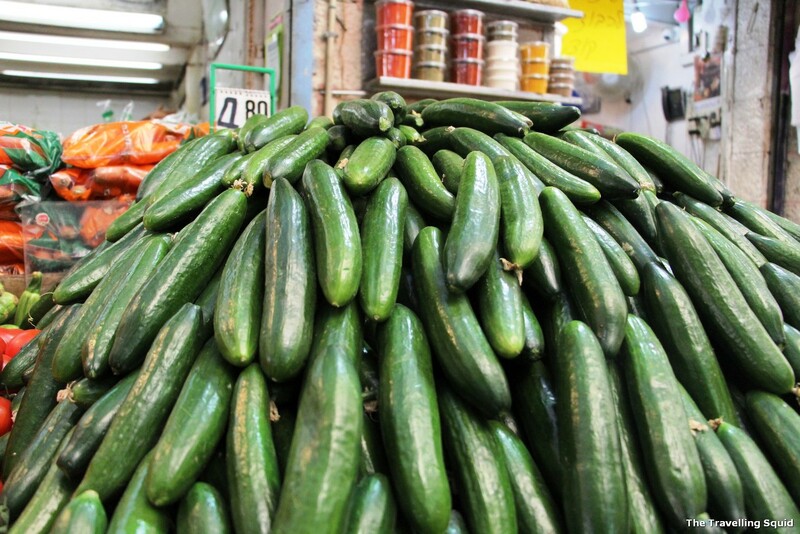 Dill – so much of them. Looks beautiful. Having a drink as the day goes by. 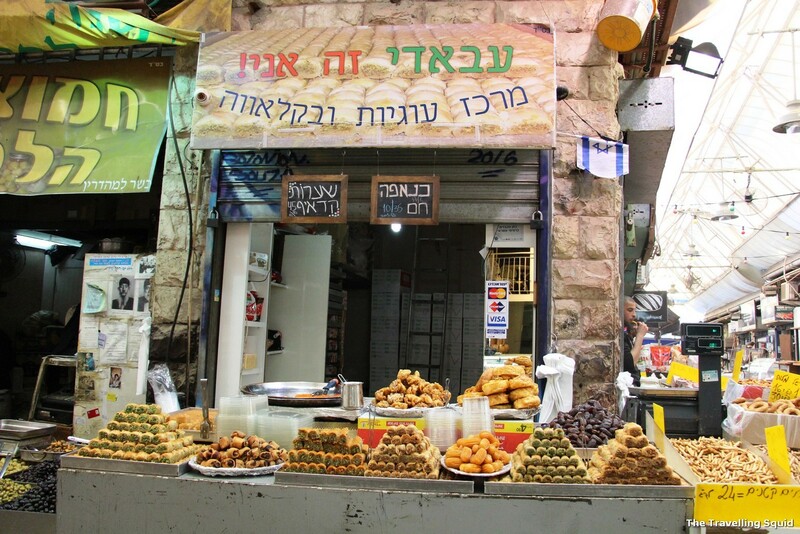 The Mahane Yehuda market in Jerusalem is a refreshing place to take a relaxing walk, after you find yourself inundated with sights of historical monuments. 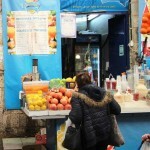 Buy some fruit juice, it’s really fresh and they don’t add sugar, unlike in Egypt. 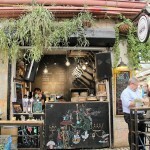 If you’re tired, have an espresso shot – there’s a really great coffee stand you’ve got to check out. And did I forget the craft beers? 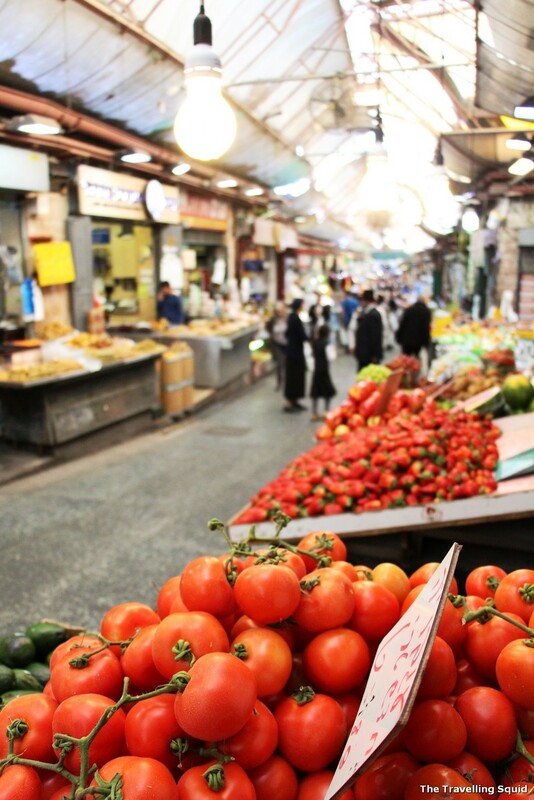 Stay tuned for the next post on ‘Top 3 must dos at the Mahane Yehuda market in Jerusalem’. 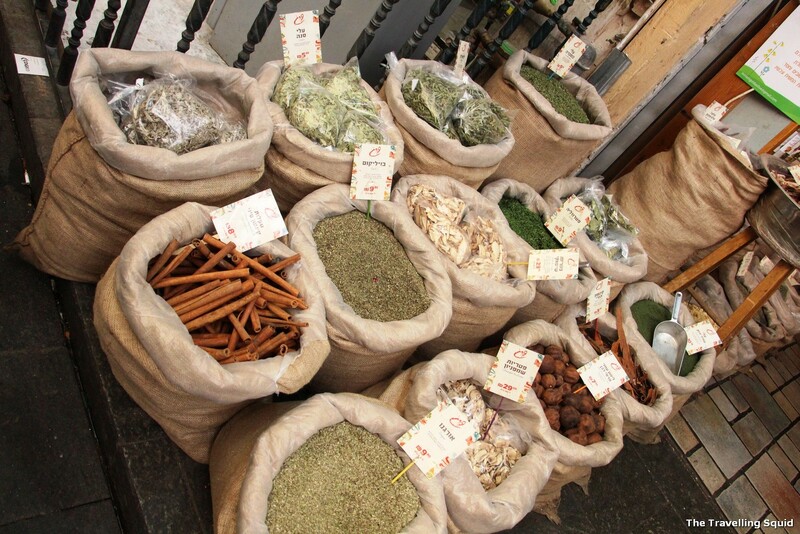 Before I end off, do remember that the market is closed from Friday evening to Saturday evening! 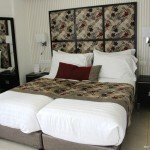 We saved our souvenir shopping to the last, planning to get our souvenirs from the market. Little did we know that not only was the market closed, public transportation had stop, and a number of restaurants were also closed. I’ll talk more about that in a next post.